Dr. Jeffrey S. Leider MD. Dr. Leider has been in practice as a board certified otolaryngologist since 1993. Dr. Leider has a particular affinity for pediatric ENT, but also enjoys seeing the “young at heart” adult patients as well. Dr. Leider graduated Michigan State University in 1984 with a bachelor of science in Physiology. He then graduated from the University of Michigan Medical School in 1988. 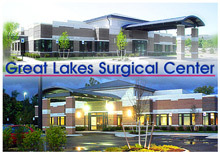 He subsequently completed his otolaryngology residency with Wayne State University and completed that training in 1993. He is board certified by the American Board of Otolaryngology – Head and Neck Surgery and also a fellow of the American Academy of Otolaryngology and Head and Neck Surgery. He has numerous research publications and continues his academia as a clinical assistant professor at Wayne State University and helps in the further training of their otolaryngology residents. Dr. Leider prides himself on the personal individual care that he can provide to his patients and is always taking the time to address any and all of their concerns. Dr. Amy Arnold has over 30 years experience as a clinical and dispensing Audiologist with extensive clinical, sales, management, and educational training experience including positions as Area and Quality manager for a large national corporation, an expert for an equipment designer and manufacturer, an Account Manager in the Southeast for a major manufacturer, and performs research in current topics. She also develops and teaches introductory and graduate level university courses as an adjunct professor. Dr. Arnold has co-authored peer-reviewed articles as well as training manuals on various hearing aid and related topics. She received her undergraduate degree majoring in Biology from Hope College in Holland, Michigan and Master’s degree from the University of South Carolina, Columbia, South Carolina. She completed her Doctor of Audiology (Au.D.) degree program through the Arizona School of Health Sciences A.T. Still University, Mesa Arizona. Amy has worked with thousands of patients needing hearing care and strives to give each one a personalized hearing care solution. Her passion is to improve the quality of life of those with communication challenges and to be part of their journey toward better hearing health. Dr. Arnold and her husband have been a resident of the Brighton area for over 24 years. Ariel Petro is an Otolaryngology and Audiology Technician. She has been in the audiology field since 2010. Ariel is currently taking business administration classes at Oakland Community College. She performs hearing tests for patients of all ages. Ariel also helps our hearing aid patients with many of their hearing aid needs, while assisting our Doctor of Audiology. Ariel is passionate about music, animals, and art. In her spare time Ariel enjoys going camping, hiking, and attending concerts.